The final round of the 2014 PETRONAS Asia Road Racing Championship takes place this 12 to 14 December at the Losail International Circuit in Qatar. This is the fifth year the season finale will be held under the impressive floodlights that powers the entire Qatari circuit. Last season at the desert circuit, Azlan Shah Kamaruzaman took pole and won both SuperSports 600cc races to become the second Malaysian after Chia Tuck Cheong (2001) to win the premiere class title, beating Katsuaki Fujiwara and Mohd Zamri Baba. This year however, things are completely different with six riders in contention for the SuperSports 600cc title. Separated by 37 points and with 50 points up for grabs this weekend, the Losail Circuit sets the scene for an intense battle. Currently Fujiwara leads the six contenders with 147 points but the BEET Kawasaki Racing rider knows however, that he has not won a race since Suzuka in September and that is something he needs to put right if he is going to bag his second SuperSports 600cc crown this weekend. Arriving on a high would be Japan’s Yuki Ito. The PETRONAS Hong Leong Yamaha rider claimed a double win last time out at the Buriram Circuit to slash Fujiwara’s lead to just seven points. 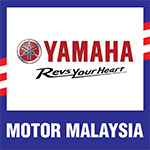 Also in the mix are potential spoilers such as Mohd Zaqhwan Zaidi, Makoto Tamada, Tomoyoshi Koyama and Mohd Zamri Baba who are also in the position to affect changes in the outcome of the title hunt. Meanwhile Gupita Kresna is on the brink of clinching his maiden Underbone 130cc title. The Kawasaki KYT Rextor Manual Tech rider leads the overall standings with 148 points and needs to secure another 20 points to take home the coveted crown. If he succeeds, this will be the fifth consecutive year an Indonesian rider takes home the underbone title.